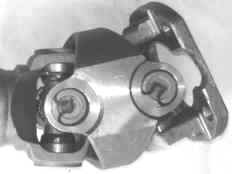 The Double Cardan CV kits below are built to look good and fit your transfer case or differential. 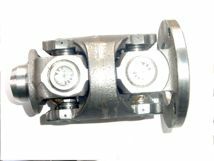 BAD BOY 80 2 ton CV fits 2 1/4 125 wall unless otherwise specified. Note the shim on the right to by pass interference. Bad Boy Jr CV HEAD ONLY TO FIT 2 1/4 120 WALL TUBE for Chevys, Ford, Toyotas, Suzuki, Dodges, etc..
STANDARD ANGLE 1350 CV HEAD ONLY 26 DEGREE USED FOR CHEVY, DODGE, TOYOTA, ETC..
HIGH ANGLE 1350 CV HEAD ONLY 35 DEGREES USED FOR CHEVY, DODGE, TOYOTA, ETC..
Toyota CVs made with Toyota parts. 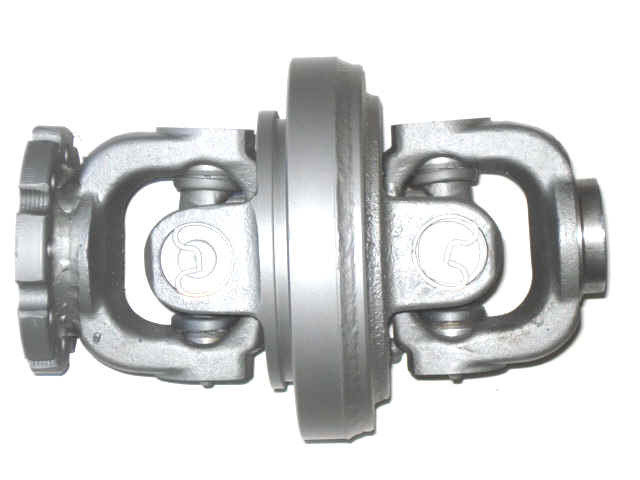 are available with standard or high angle CV. 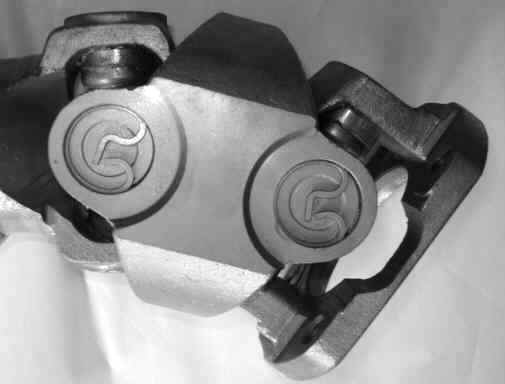 The CV is machined to provide up to 35 degrees. Toyota CVs made with SPICER TYPE part. These CVs cost less and have more common parts. 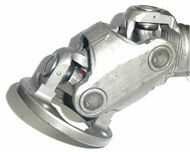 Available with standard or high angle CV. 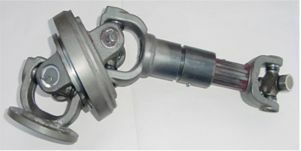 The CV is machined to provide up to 40 degrees. 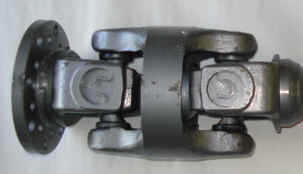 Binds between 26-30 degrees. 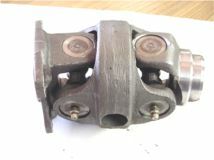 3 5/8” wide U-joints. 2.5”Tube 83 wall thickness. 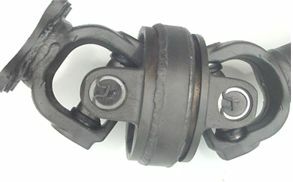 U-joints are 3 5/8 inches wide and 1 1/16 diameter caps.